Oh hey there week 14! More importantly, hey there second trimester! I feel like the first trimester lasted so long, and I'm not sad at all to see it go. Since we found out we were expecting around week 3.5, and the nausea started up around week 4.5, it feels like I have been pregnant a long, long time. I wouldn't change a thing about the first trimester and am so, so thankful for every little part of it, but I am looking forward to more energy and less food aversions! 1. I think I hit a growth spurt because I am hungry all. the. time. I feel like I am just shoveling food in all day but it's rare to actually feel full! I told my sister this week "I am tired of eating", which is so strange for me. I usually love to eat! I still don't want meat but can do it if it's in a casserole. This week I also discovered the corn dog. Oh how I love a good corny dog this pregnancy! 2. I definitely feel a small increase in energy and a slight decrease in the nausea! It's been a gradual thing, but I am very grateful for more energy and a lesser desire to throw up. ;) I am knocking on wood, but as of week 14, I haven't thrown up yet, and I don't foresee throwing up the rest of this pregnancy, but you never know. 3. I have to remind myself that my body is working really hard because cutting workouts is hard for me, but I just can't hang anymore. I power walk 2.5 miles most mornings, and while it feels great, my legs are so tired by the end. It's all I can do right now, and that's okay. It's something! 4. Sleep is my favorite! I sleep 9-10 hours a night and am so, so happy about it. Give this pregnant girl all the sleep! 5. I am so paranoid about getting bit by mosquitoes with this Zika virus. I love to walk Jenny and do my morning power walks, but I have become so anxious about getting bit by mosquitoes. I always say a little prayer and ask God to protect this baby before I venture out. I know chances are there aren't even mosquitoes in this area that carry the virus, but it's still so nerve racking! 6. I am still wearing all of my normal clothes, but I did have to do the rubber band trick with a pair of jeans for the first time. They wouldn't button! It's been a while since I did a book update, so I see no time like the present to start that back up again! I figured I would be a reading maniac this summer with so much time on my hands, but the opposite happened. It took me a whopping three months just to read three books, but I enjoyed them all and am excited to share with yall today! Big thanks to my friend Bailey for letting me borrow this book! I loved Candace on DWTS and of course grew up watching Full House, so I knew I would love this book. Candace is a strong Christian and makes it known in the way she carries herself and lives her life. I loved watching both she and Sadie Robertson on DWTS because they executed every dance beautifully without compromising their morals. 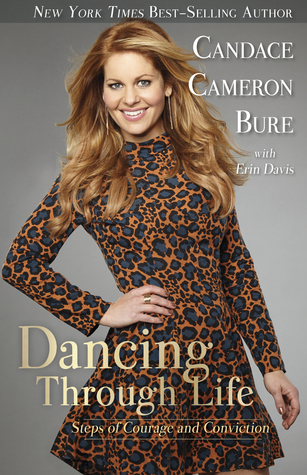 This book is a journey through her time on DWTS and how she let her faith guide her through the ups and downs. It was a quick read that I really enjoyed! I really thought this was going to be a slam dunk for me. 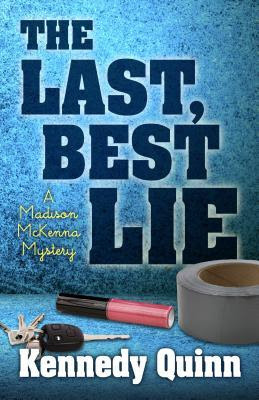 I love suspenseful spy books with a strong female lead, and this book had all of that. Unfortunately, the writing was just a little too cheesy for me to get into. The ending had me hooked, but I had to fight through the rest. I so wanted to love it, but it just fell flat for me. This story is just a sweet one that will give you all the warm fuzzies. 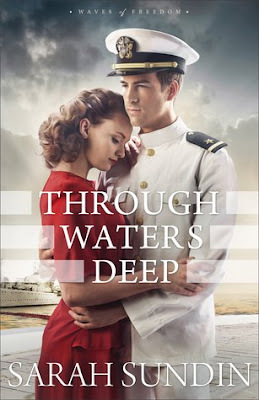 He is a handsome Naval officer, and she is a shy, humble lady who hates attention and the limelight. They form a deep friendship until it eventually leads to something more. Due to outside circumstances, neither can tell the other how they feel, and the story builds from there. The characters are both so naive, so genuine, and so pure in their intentions, and it was a sweet story. Overall, I really enjoyed it. Since insurance covered the NIPT test (genetic screening), we decided to do it. I went in for the blood draw at 10w5d, and they told me they would call me within 7-10 days with the results. Not only would this test tell us of any chromosomal abnormalities, but it would also tell us the gender. Honestly, we didn't really think too much about getting to find out the gender. 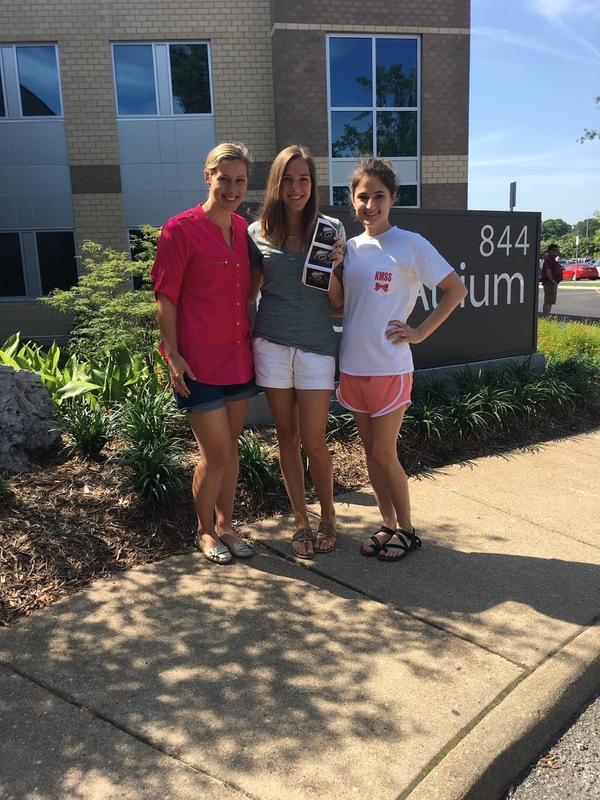 We just desperately wanted to hear that a chromosomal abnormality was not going to be part of this baby's story. Exactly a week after I had the blood draw, I got a call from our genetic counselor. She told me she had great news, and that the tests came back negative for Trisomy 13, 18, 21, and triploidy! Praise God!! In that moment, all was right in the world, and I couldn't have asked for anything more! 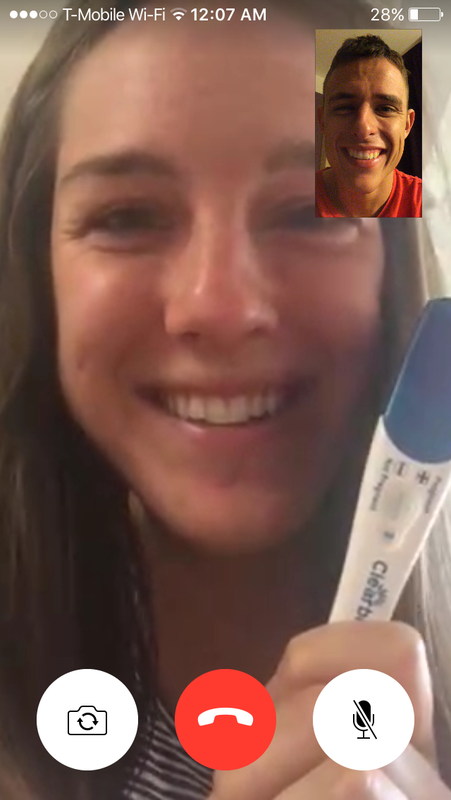 I wanted to find out the gender at the same time as Parker, and we had plans to Facetime later that afternoon. I gave the phone to my twin (Danielle) so the genetic counselor could tell her the gender, and Danielle wrote it down for me. I heard Danielle say, "okay, can you repeat that one more time?". She was so worried she would forget or write down the wrong gender by mistake haha! I was sure she had written girl, but I was about to find out just how wrong I was! I finally got the chance to talk to Parker, and on the count of three, I held up the paper for us both to see. Only I am a total klutz, so I dropped the paper on two, and Parker said "I saw it! Boy!". I quickly flipped it over and saw the word BOY written clear as day! 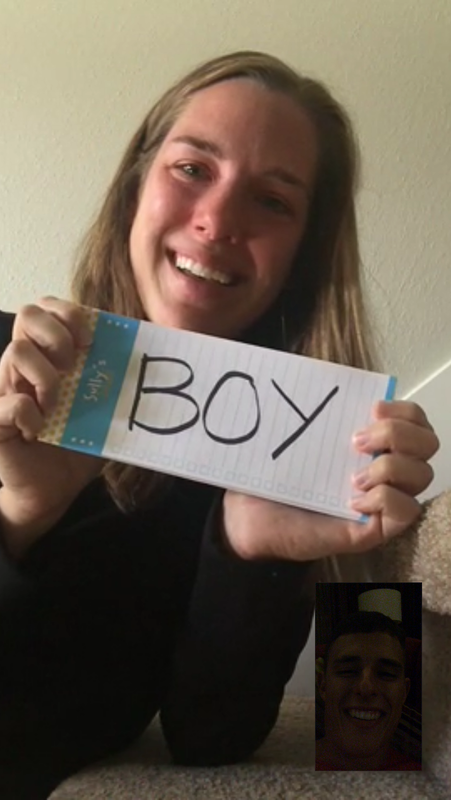 "Oh my gosh, it's a boy?!?!" Tears started flowing and I kept saying over and over "I can't believe it!". Parker was ecstatic and laughing at me because I was crying. They were definitely happy tears! I told him I was going to cry whether it said BOY or GIRL. Just knowing the identity of the little human that would be joining our family was enough to bring on the waterworks! It was a short, sweet conversation that I hope to remember forever. Parker was thrilled, I was thrilled, and it was pure happiness. We knew his name in that moment and talked about how great life with a son would be. I am so glad he got these screenshots of our first reaction to the news! 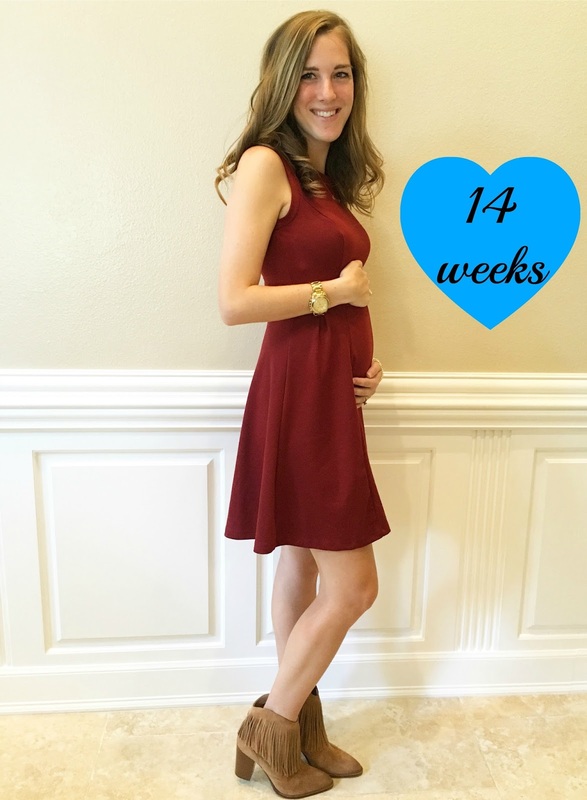 This week marked 13 weeks of carrying our son! It's crazy to think this is out last week in the first trimester, but I am not complaining one bit. There is something almost victorious about making it through that first trimester, and while I know as well as anyone that scary things still happen beyond the first 13 weeks, I am praising God for a successful first trimester of carrying our sweet boy. 1. Little boy must be growing because I sure am! The bump is definitely there and getting more and more obvious, though you still can't really tell in clothes since I wear looser fitting tops. It is still so surreal to be showing this early, but I love it! 2. I had another ultrasound this week! It seriously has to be some sort of record to have had 4 ultrasounds before 14 weeks, but I'll take it! I had the ultrasound at 13w4d, and baby boy is measuring a full week ahead still! 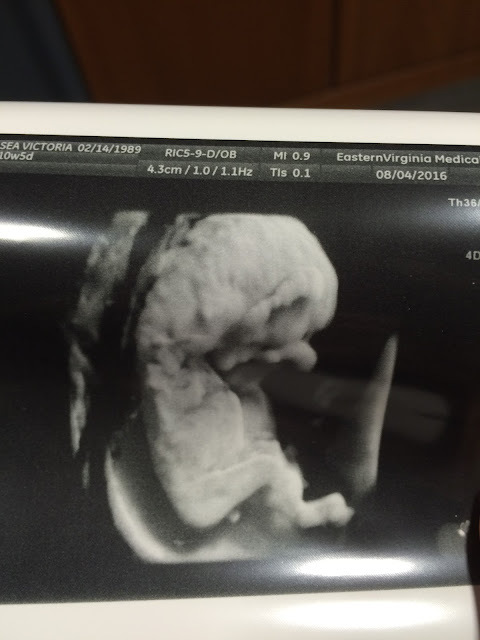 If I didn't know the gender yet, I would have found out at the ultrasound. There was definitely something between the legs! It's pretty early to be able to see gender at 13 weeks but then again he is measuring almost 15. His heart rate was 150 bpm. 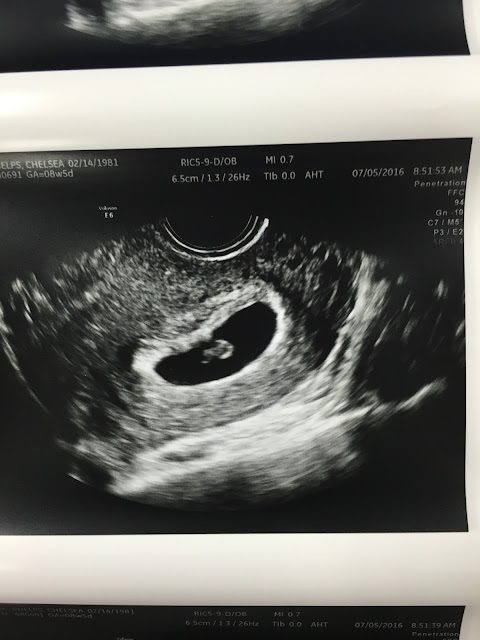 All in all it was a great ultrasound and appointment! 3. The nausea has been rough this week. I thought I was getting better, but I think I just had a couple of good days in the mix. I came so close to throwing up on my way to my appointment, and I feel nauseous pretty intermittently throughout the day. 4. Eating is still tough, and while I feel hungry all the time, few foods still sound good. A plain fast food cheeseburger always sounds good, but I am trying to limit those. 5. As of 13w4d, I have not gained any weight! I am still exactly at my pre pregnancy weight, which is nice, but I am going to try to up my calorie intake and hope that number increases by my next appointment. Thank you all for the outpouring of love you have shown to our growing family! We are absolutely thrilled to be welcoming a son in February and are excited to finally share the details of this pregnancy! 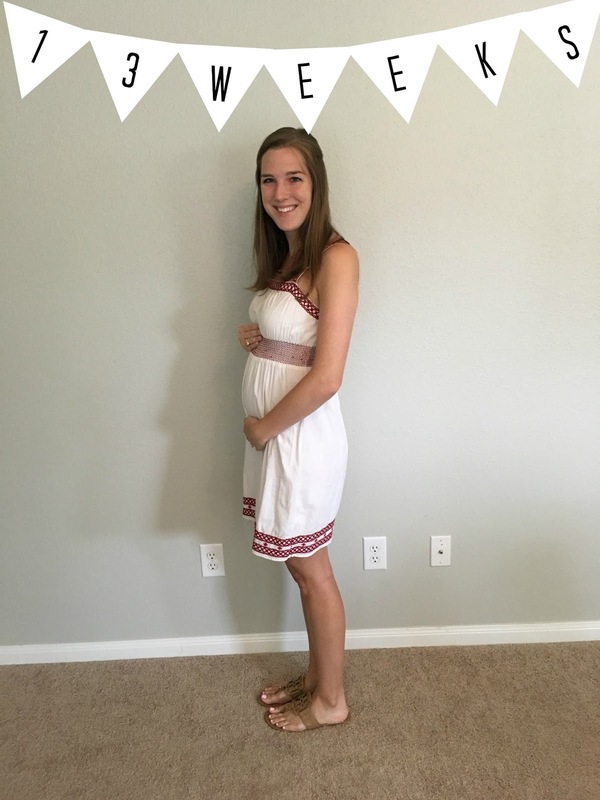 I took a nice little break from blogging which can directly be translated to "the first trimester rocked my world and I didn't have the energy to do anything". Now that I am feeling better and the secret is finally out, I am excited to be back in the swing of things! Baby #2 has been so talked about and prayed for in our house for so long, but we always went back and forth on the right time to start trying for a second baby. The military complicates things and we wanted to avoid Parker missing a big chunk of our baby's first years of life if we could help it. We tried for 2 months before he left, figuring it was a long shot but knowing that we would just try again when he returned if it didn't happen. 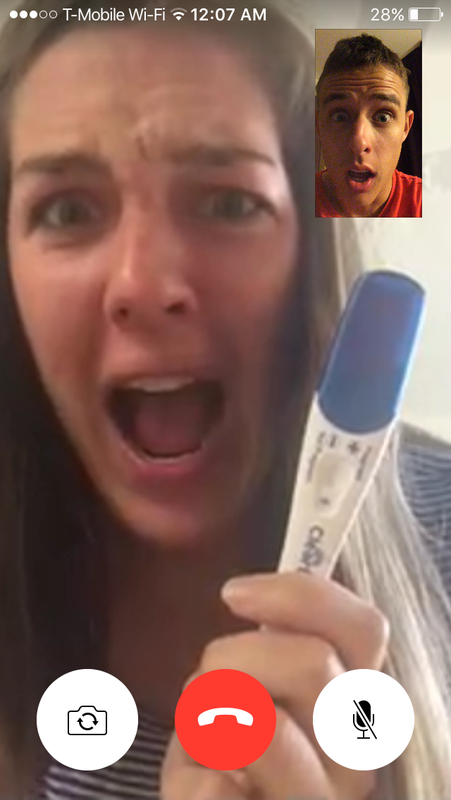 I happened to have a doctor's appt the week after Parker left, and the doctor did a pregnancy test. It was negative. The doctor told me it was still early so there was a chance the test could have been a false negative, but I remember being frustrated that he gave me that hope. I cried a few tears when I got to my car. I knew God had a plan, and I knew we would be parents in His time, but hadn't we already been through enough? Why couldn't this be easier? Those are the thoughts that went through my mind in that moment. 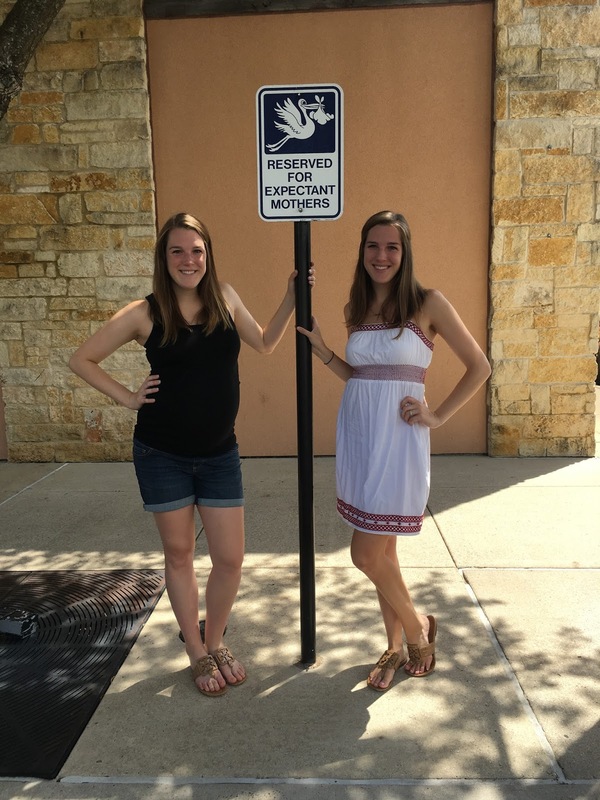 I flew to Texas that following weekend to throw a baby shower for my twin sister (due any day now!). I still hadn't started my period, so I decided if by the time I got back home that was still the case, I would take a pregnancy test. It was Friday, and I wouldn't take that test until Tuesday morning. No way I would go those 4 days without getting a period, I thought. The weekend came and went, and I remember thinking on the flight home Monday evening "Oh my gosh, I am probably pregnant". 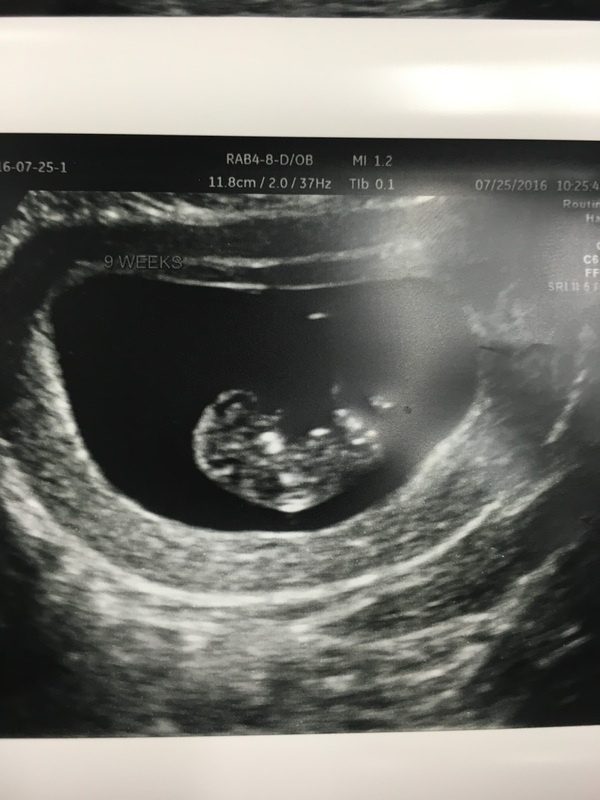 I took a test first thing the next morning (June 14th), and that plus sign appeared clear as day! I couldn't believe it! I stood there in awe with my hand over my mouth just saying "Oh my gosh" over and over and over. I prayed, I cried, and I just stood there and stared at those two intersecting blue lines. So many emotions! I wouldn't be able to talk to Parker until that evening, and the waiting about near killed me! I was so thankful I would get to talk to him that night though and not have to wait days to get a hold of him. He finally called that evening over Facetime. I asked him about his day and how things were going (let's be honest, in that moment I didn't care and just wanted to blurt my news). After several minutes of airplane talk, I finally cut him off and said "Okay my heart is beating so fast and I can't do this anymore!" He guessed it right there! 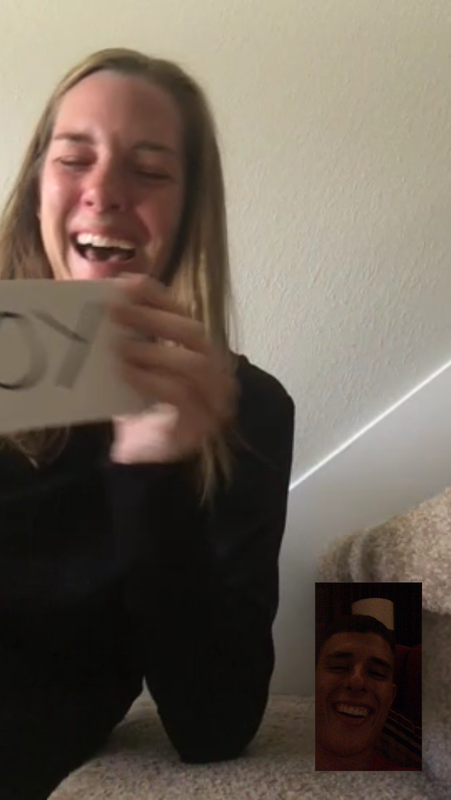 He was so excited, so surprised, and feeling all those emotions that I had been feeling all day. Telling him definitely made it feel more real! 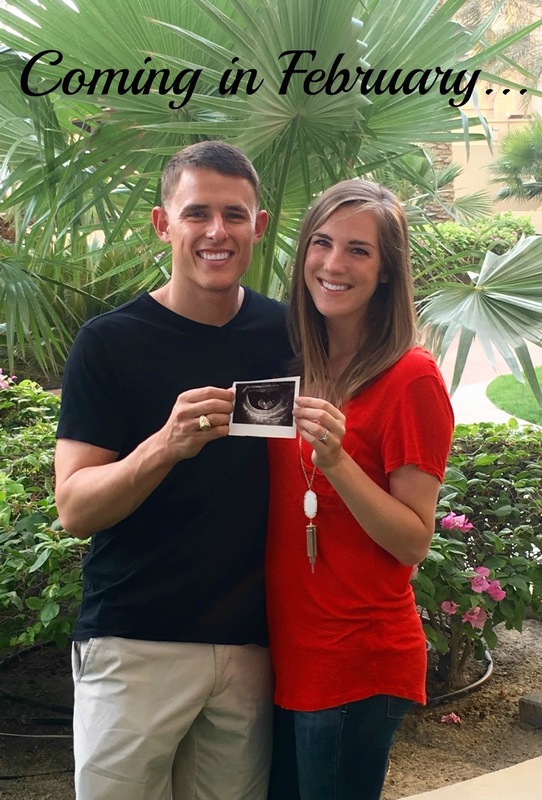 Ready or not, a brand new journey had started, and baby #2 was on the way! More baby updates to come tomorrow! My sister is 9 months pregnant with my sweet baby nephew and just about ready to pop! I'm staying with her to help with a little cleaning, cooking, and baby snuggling while she adjusts to this new chapter of life, and I honestly couldn't be more excited about it! We have started to tackle the cleaning room by room, so I have been searching for ways to make everything sparkle without loading the house down with chemicals. We have a new baby coming, after all! 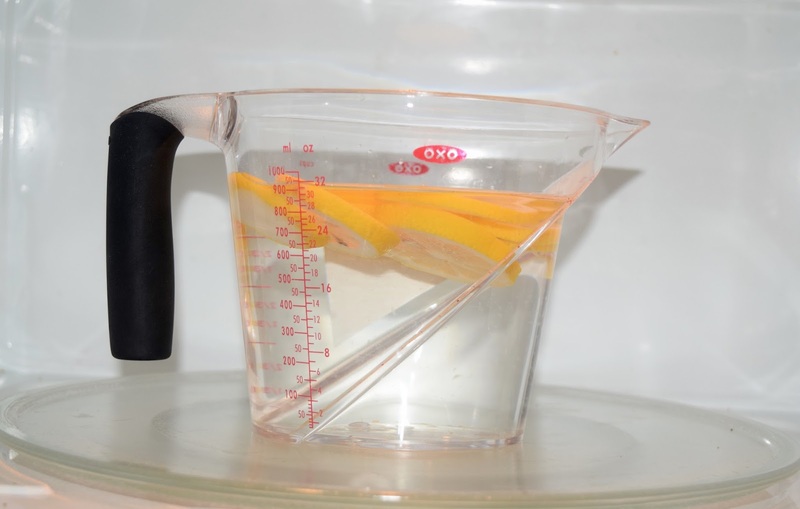 I started small with the microwave and came up with the simplest, chemical-free solution to get that microwave squeaky clean! All you need is a lemon, a microwave-safe glass bowl, a splash of white vinegar, and ocelo™ No-Scratch Scrub Sponges. These sponges scrub kitchens and bathrooms without any scratching! I picked everything up at my local Target and got to work. This whole process will take you 5 minutes. 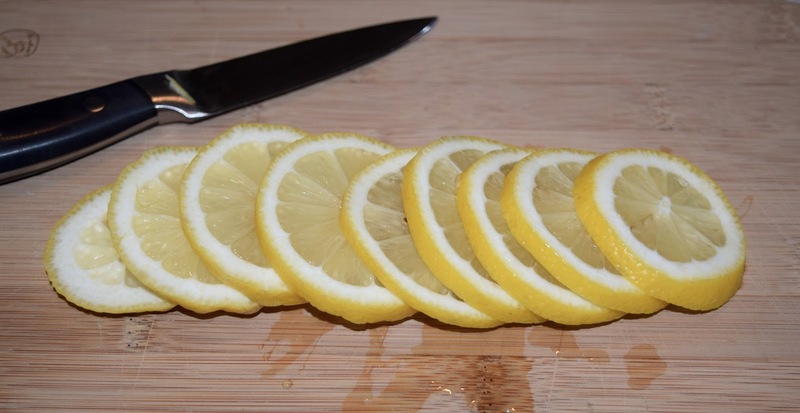 Slice your lemon and set aside. Fill your glass bowl with warm water and add a splash of white vinegar. Gently place the lemon slices on top and set in the microwave! Heat for 2-5 minutes, depending on how dirty your microwave is. Her microwave was fairly clean, so 2 minutes was perfect for us. Remove the glass bowl and grab your ocelo No-Scratch Sponge. 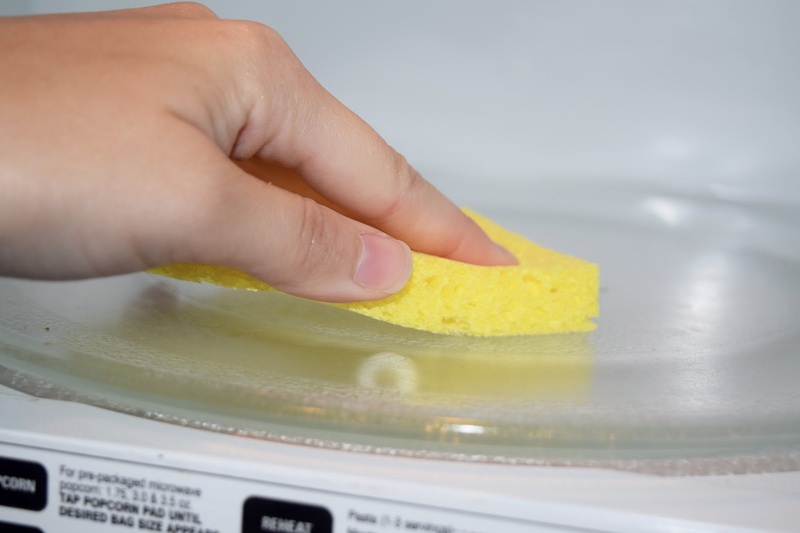 Start wiping down the microwave and watch any food residue or grime disappear with ease! 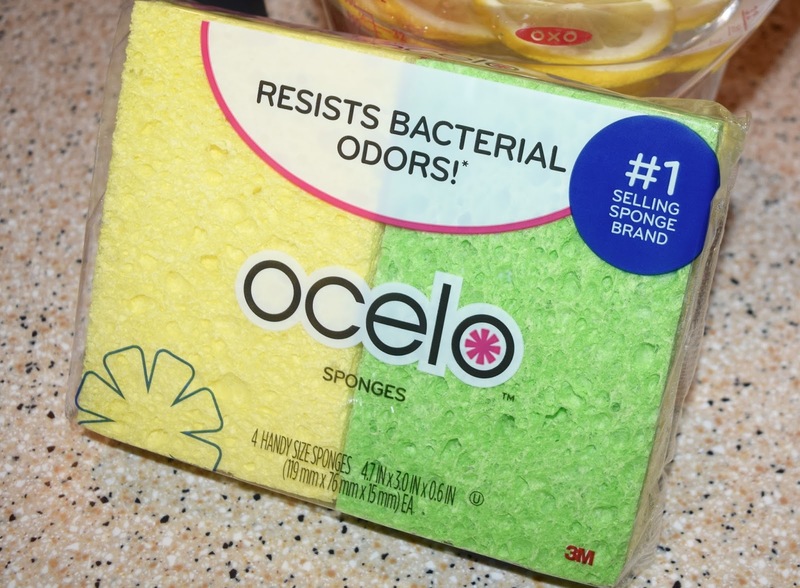 I really liked using the ocelo No-Scratch Scrub Sponges and will be using them to tackle the rest of the kitchen and bathrooms as well. From August 14-20, the entire cleaning department has a deal where it will be buy $50 worth of cleaning product, get a $15 Target gift card! 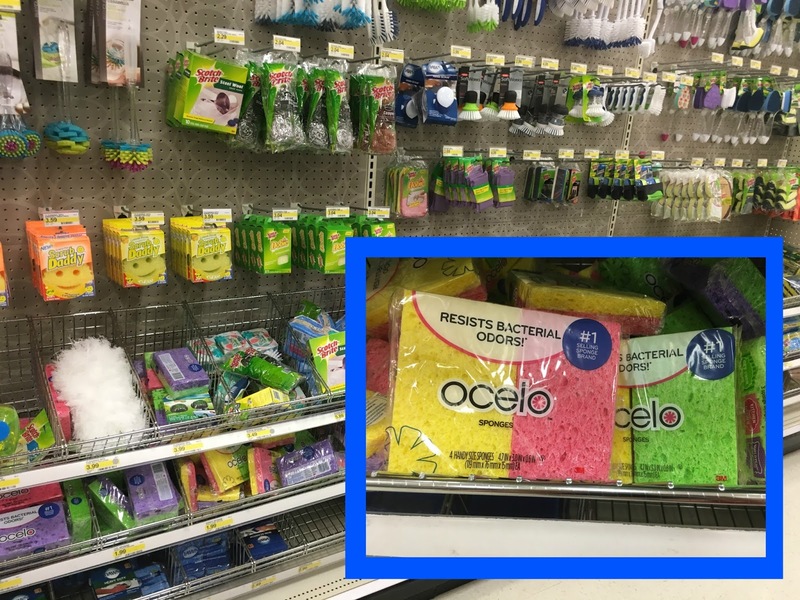 There is also an online coupon to save $0.50 off one ocelo Scrub Sponge Multi-pack that you can get here. Stop by your local Target today to pick up everything you need to get that house squeaky-clean! 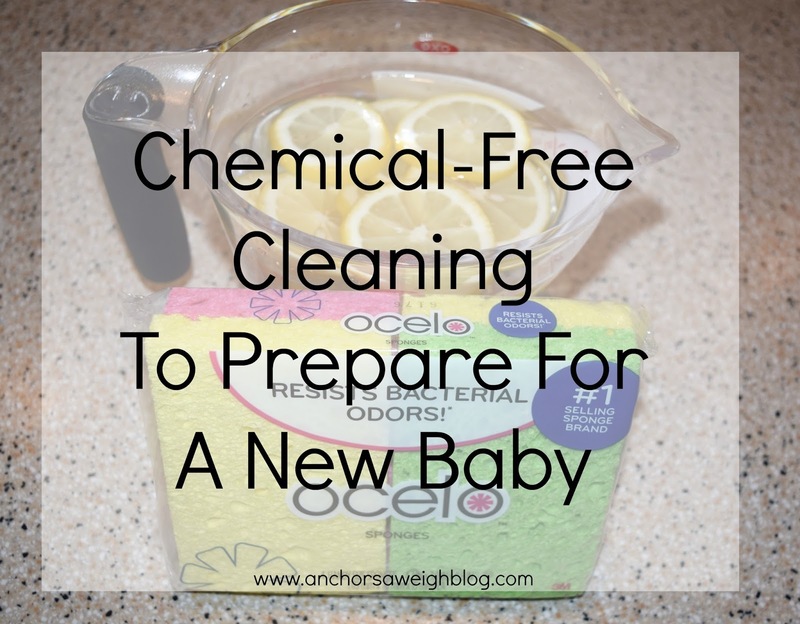 What are your favorite chemical-free cleaning remedies?